A curious meld (get it?) 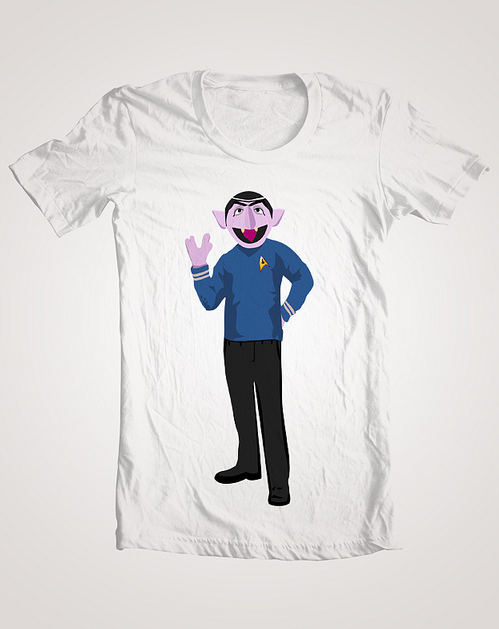 of Count von Count and Spock by Scott Sherwood. Found on our teelovers' flickr pool. Some stills from the videoclip D.A.N.C.E., by the french band Justice. The videoclip is a treat for every tee lover out there, full of awesome designs and ideas for tees. I would wear almost every tee shown. The stills are from videology. This one is not really for sale, but you can always go for the ABC Heather Black, from Human Empire.